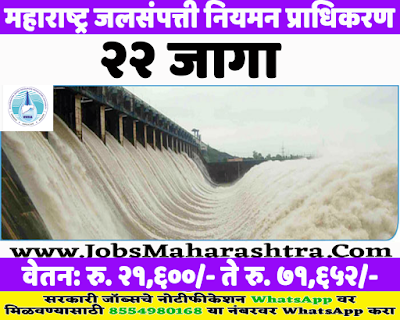 Maharashtra Water Resource Regulatory Authority (MWRRA) recently published notification for the 22 various posts. Eligible candidates can apply these posts by post/by hand on the below-given address. For more details like age limit, salary, how to apply, selection process please refer the below article. Age Limit:- Maximum age limit is 61 years. Candidates who full fill the above given criteria for related posts can apply by post / by hand on below given departmental address. The application form is attached to the departmental advertising PDF in below given important web link section.